If you’re considering drafting a will or are in the process of doing so, having legal counsel can help ensure all documents are accurate and meet legal requirements. The primary purpose of your last will and testament is to distribute property you may own after your death. A will may also name an executor and guardians for children. Due to the complex nature of wills, it is important to seek the legal services of a Trusts & Estates attorney. Learn more about the benefits of having legal counsel when drafting your will. Every U.S. state has its own specific requirements that a will must meet to be considered legally enforceable. Most states require you to be over age 18 or be an emancipated minor. You must also be of sound mind, meaning you have a thorough understanding of what you own and will be leaving to others. Your will also must have a valid signature and at least two witnesses who are disinterested persons, or individuals who are not beneficiaries in your will. A trusts & estates attorney knows these estate requirements and can ensure that the will meets all applicable laws. Many people are under the impression that they only need to draft a will. The truth is that a will is usually not sufficient on its own. Estate planning involves a number of legal documents designed to prepare families for major life changes such as death or disability. There are actually several estate plan documents that are essential, including an estate plan questionnaire that helps prioritize estate planning goals. Other must-have documents include a health care power of attorney, financial power of attorney, disposition of final remains, and disposition of personal property. The content of your will and other estate planning documents is very important. If you choose to write your will yourself, your family could face a number of challenges after you are gone. As your will passes through probate court, its content could possibly be challenged by anyone who feels as if they were wronged. Working with a trusts & estates attorney can help you avoid such dilemmas by ensuring that all wording is legally clear and definitive and that your intentions are understood. A trusts & estates attorney also has extensive knowledge of complex financial issues. Remember that drafting a will is not just about who will end up with your money and expensive jewelry. It also involves other financial components and responsibilities. 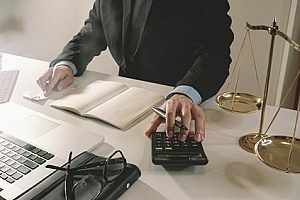 An attorney will look at all aspects of your finances, such as any retirement accounts you may have and whether or not you pay spousal support. They will also consider any debts you have and will help you determine who will pay these debts in the event of your death. Every detail from how much money will go to charity to who will care for your pet if you pass will be addressed. Another thing to consider about the content of your will is that it is likely to change over time. This is especially true if you decide to draft your will when you are younger. Maybe you have a couple more children or your own children have grandchildren. Or perhaps you move to a new state, get married, or get divorced. Each of these major life events can change the accuracy of your will. A trusts & estates attorney can tell you when the will needs to be altered and will make essential updates. Without a trusts & estates attorney to assist you throughout the estate planning process, you may forget or neglect to finish your will. 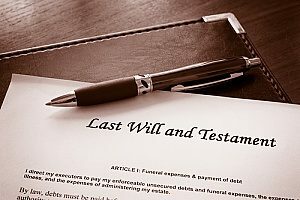 If you pass away without leaving a will for your family, your estate will be seized by the state, and your loved ones will have to go through the long and complex probate process. This means spending time in court. An experienced trusts & estates attorney can help your family avoid having to attend probate court, resulting in cost savings. There is nothing scarier than to think about no longer being there for a spouse or your children. While drafting a will cannot take the place of your presence, it can give you some peace of mind. With the help of an experienced trusts & estates attorney, creating a will can provide you and your family some financial security. It is important to remember that having a will is important no matter the size of your estate. Each estate is different, and an attorney can help you find an estate plan that best meets your needs. For more information on drafting your will, contact a trusts & estates attorney at OFP Law.